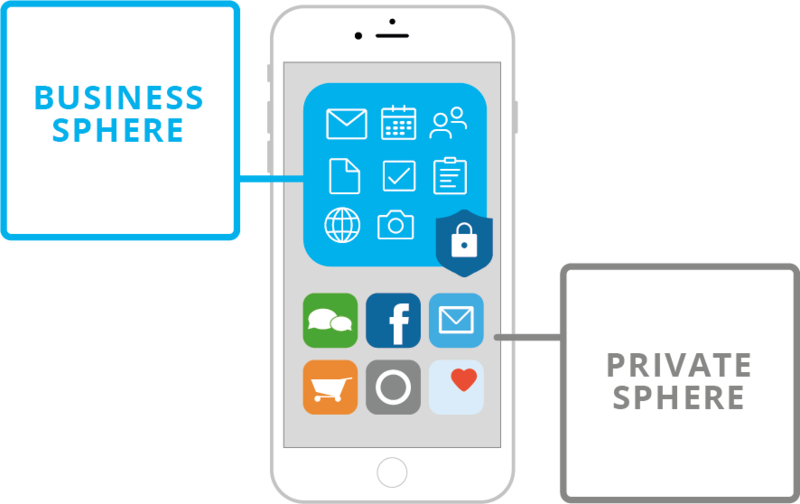 SecurePIM enables your employees to access business-critical emails, calendars, documents, and more using smartphones and tablets. All the company’s data is highly encrypted and placed in the secure Container. With SecurePIM, you can grant your employees secure access to your company’s sensitive data in a simple and reliable fashion while protecting their privacy. Container technology keeps your corporate data protected on any device. 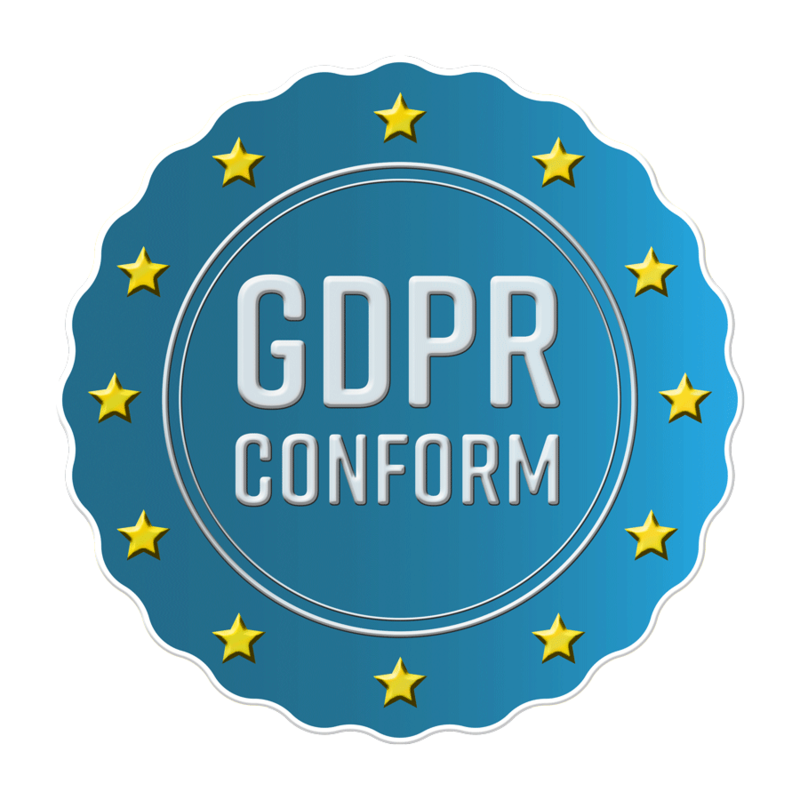 With SecurePIM, you will be in line with the important principles underlying the EU General Data Protection Regulation. SecurePIM has received approval from Germany’s Federal Office for Information Security (BSI) for its security solution, SecurePIM Government SDS (“Secure Data Synchronization Service”). With this, classified data identified as “FOR OFFICIAL USE ONLY – VS-NfD” can be processed and transferred with SecurePIM Government SDS. With the SecurePIM Management Portal administrators can easily manage the solution and enforce security measures. Deployment of SecurePIM is also easy. Due to the native experience the user is instantly familiar with the app and does not need further training. Learn more about SecurePIM in our videos! The future belongs to the Container technology. Corporate applications and data are located in a separate area (the Container) on a smartphone or tablet. Sensitive data sent from or received by the device is efficiently monitored and cannot be manipulated. No further security measures are needed. For optimum security, all asymmetric encryptions are performed on a smartcard belonging to the company or on one provided by SecurePIM. The private key never leaves the card. SecurePIM Government supports ISO-7816-certified cards, e. g. Atos CardOS (4.2C, 4.3B, 4.4, 5.0, 5.3), TeleSec 3 TCOS® IDKey, TCOS 3 SignatureCard 2.0, StarCOS 3.2, Sm@rtCafe Expert 3.2/6.0, and SmartCardHSM. Connecting to other card types is also possible upon request. A wide range of smartcard readers is supported and in-house middleware can also be integrated into the system on demand. 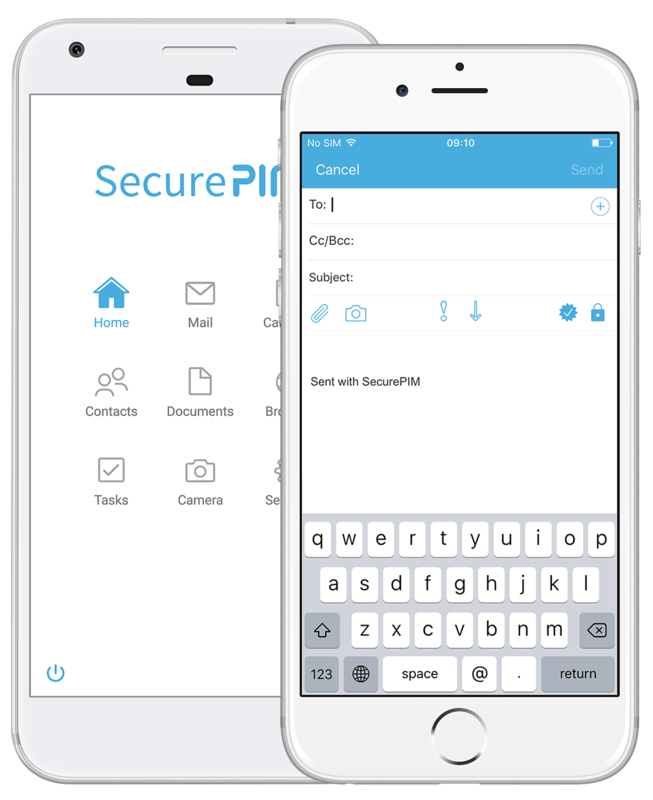 SecurePIM enables your employees to access business-critical emails, contacts, calendars, notes, tasks, documents, intranet and internet sites easily and securely using their iOS and Android™ smartphones or tablets. Its intuitive user interface and automated security eliminate the need for training and employees can begin using SecurePIM immediately. 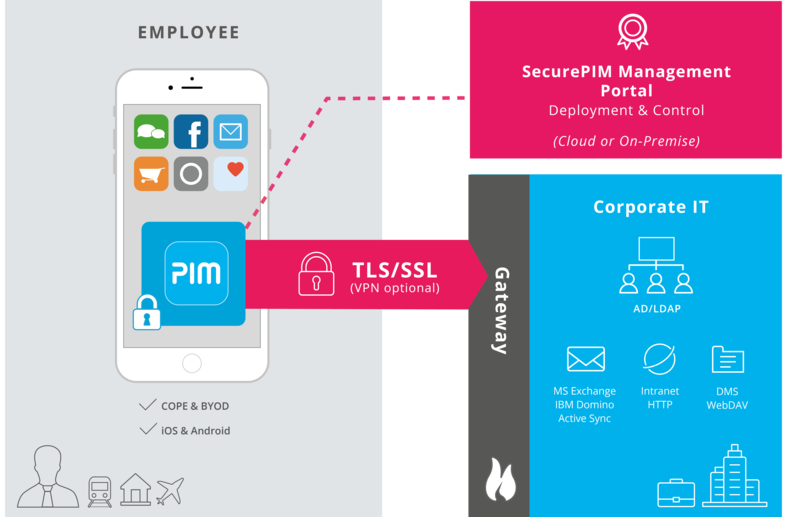 SecurePIM Government enables public sector employees to work using mobile devices while securely protecting sensitive data. It enables employees of federal and state agencies, local municipalities and public safety departments to securely transfer or edit sensitive data using mobile communications devices. Our BSI-approved iOS solution, SecurePIM Government SDS, enables public sector employees to work securely using iPhones and iPads. Data is synchronized with in-house network servers. 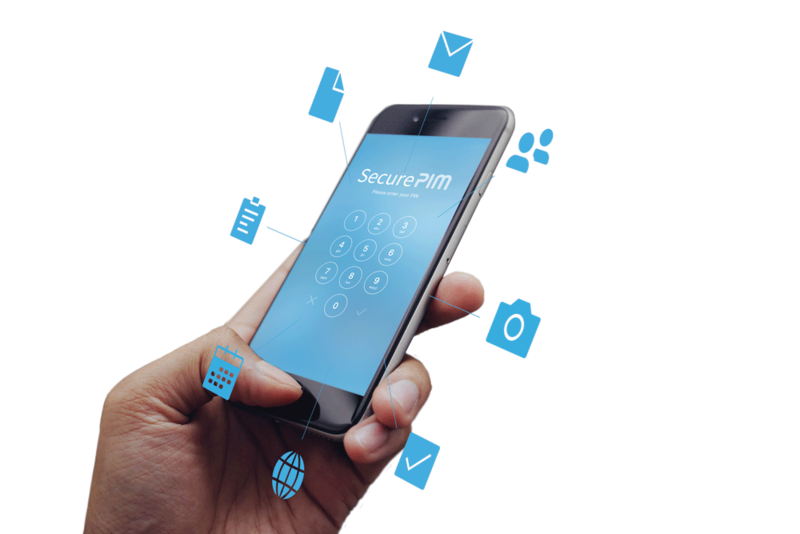 SecurePIM can also be used with a smartcard, making it the only truly secure way to access restricted data with mobile devices. SecurePIM Government SDS is the only security solution approved for Apple® devices (iPhone® or iPad®) by the German Federal Office for Information Security (BSI). SecurePIM enables government employees to easily and securely access critical data using an iOS or Android™ smartphone or tablet. Tailored to the needs of local authorities it ensures secure mobile communications using iOS or Android devices. It supports Mobile Device Management (MDM), BYOD or COPE usage.